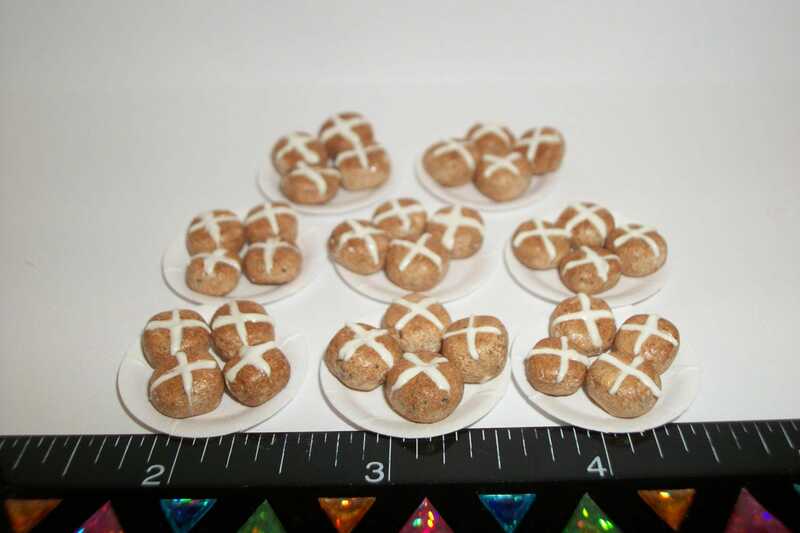 Listing includes 4 hot cross buns on a 1:12 scale paper plate pictured above. 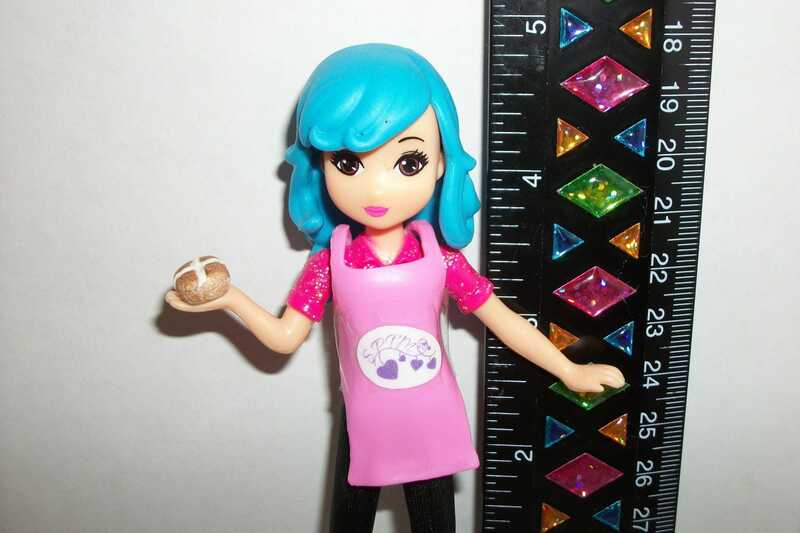 Paper plate measures one inch. 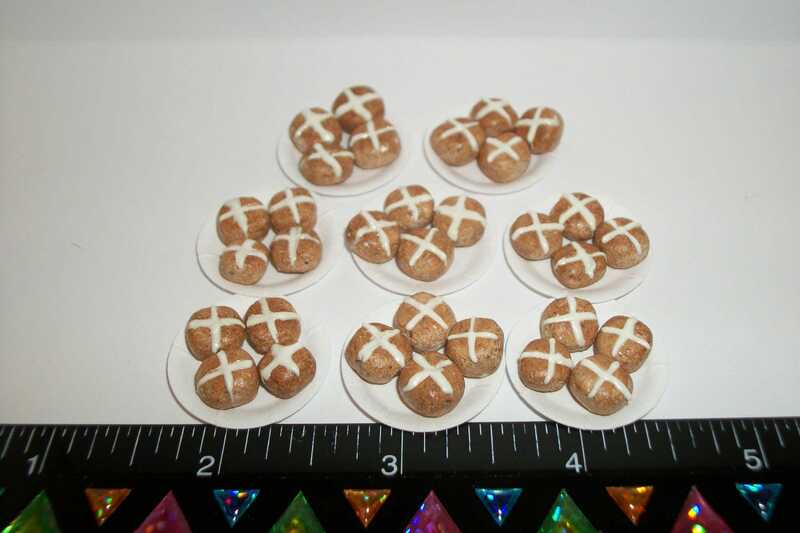 Buns are not attached to plate and can be removed. 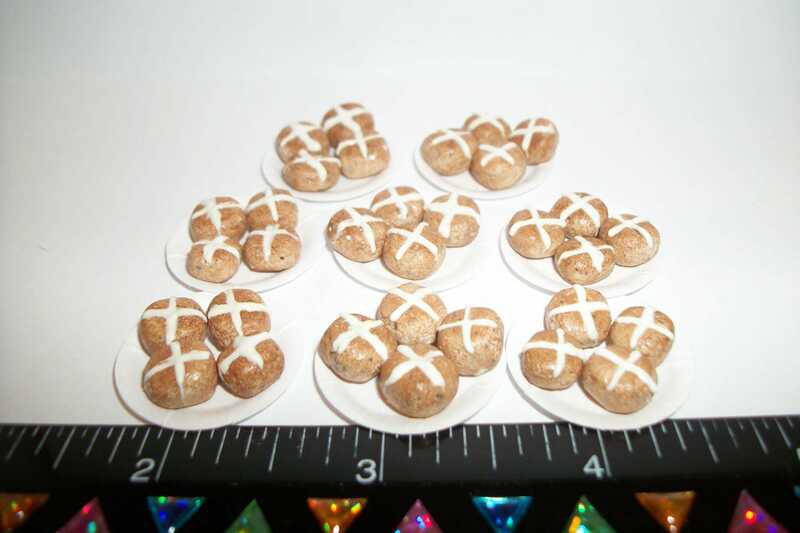 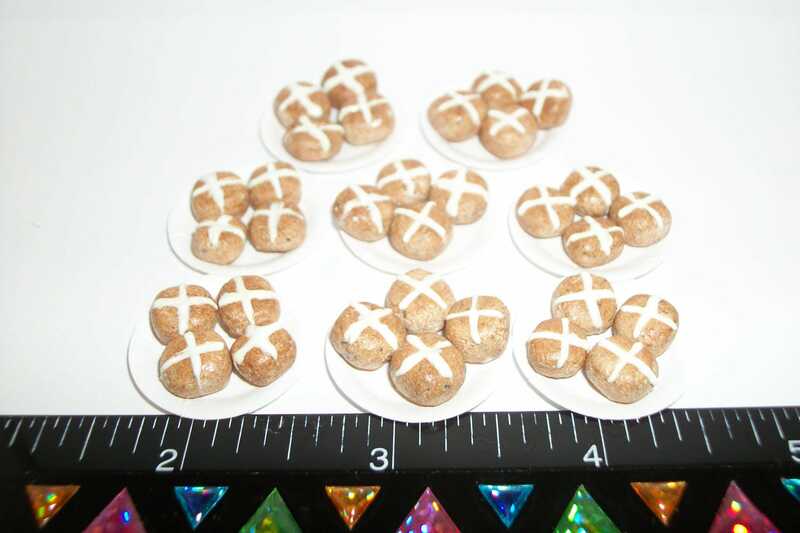 cute and simple hot cross buns for my dollhouse at an affordable price!